For years you could only download our Free Fonts – Christmas Collection on the Mac App Store, with an update of new fonts added each holiday season. This is great if you are a Mac user, but many of our customers also work on a PC. So, we are happy to add a download option below that is only the zipped folder of fonts you can download and use on any Mac OR PC! 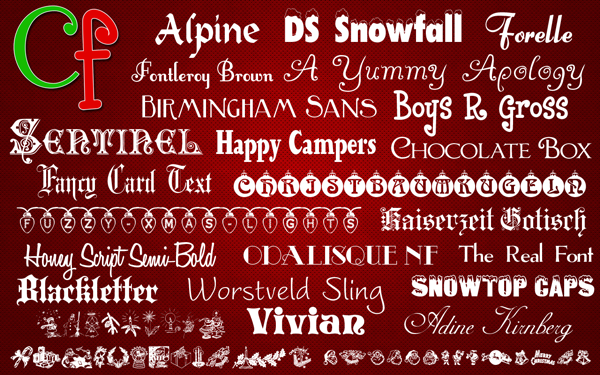 Click here to download Free Fonts – Christmas Collection on the Mac App Store! Click here to download the Windows and Mac version! 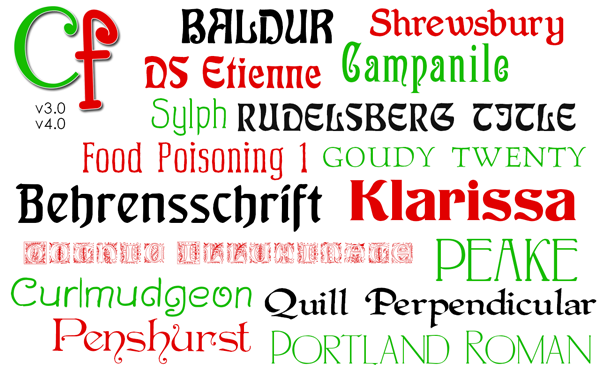 Get in the holiday spirit with a new collection of creative font styles that make any Christmas inspired project a hit! This commercial use font collection now includes 57 original fonts in OpenType font format, and can be used for any personal AND business project. International character support is NOT standard for every font but is available for many of them.